“The cards are only suggestions, but if I see something that has a lot to say in it, then I can transcribe it,” says Turner. …she is hunted down like a wolf because she is an enemy to mankind. Her heart is full of malignity. And her revenge is out of all proportion to the affront, for she is in league with spirits of evil who are almost infinite in strength. The witch is a murderer, or may become a murderer on the slightest provocation. She cannot be spared, for there is no safety for life, body, or estate until she is sent out of the world. While Kittredge was commenting on prevailing attitudes towards witches in 16th and 17th century England, his descriptions still ring true within a modern framework. It comes as no surprise, then, that those who embraced Neopaganism, Wicca, or witchcraft in the 20th century continued to battle deeply-rooted stereotypes. The conjured image of a gnarled hag whispering incantations over a bubbling cauldron may never disappear entirely, but there are those within the alternative healing community who actively seek to dismantle such outdated models of understanding and reorient public perceptions of healers and psychic practitioners. …I was roller skating one day. And I had fallen as usual, you know, with the sidewalk burns that you get…And I happened to look up at the sky. It had a cloud formation, or something. I don’t know, it was a vision or what, but it was a huge throne and it was brilliantly outline in the brightest light. I mean, it wasn’t white light. It was bright. That’s all. Throughout her early twenties and into her forties, Turner practiced her psychic work informally, often dressing up as a stereotypical fortune teller and providing her friends with herbal remedies. In the mid-1970s Turner attended a meeting of the Spiritual Frontiers Fellowship, a “non-profit group for individuals interested in psychic phenomena,” for the first time. This network of believers was instrumental in allowing Turner to feel more comfortable with her supernatural inclinations. Over the next several years, Turner continued to her hone her psychic abilities, which she described as “God-given,” while supporting her children as a single mother. She details her emergence from the “long period of psychic isolation” to become a woman confident with her innate capability to from strong, meaningful connections with clients, address and ameliorate emotional and physical maladies, and carry on traditionally-based beliefs surrounding health and the supernatural. Laude weaves together a masterful narrative that details the complex relationship between womanhood, religion, medicine, and community. Without sensationalizing Turner’s psychic skills, and by offering an intimate glimpse into how healers play a role within their communities, Laude helps to give a strong, clear voice to those who are so often misunderstood. 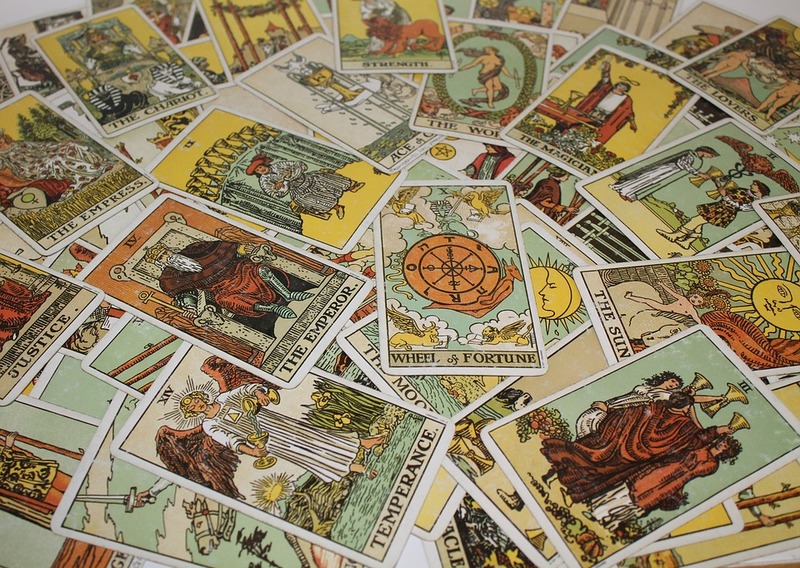 For information on additional psychics, witches, faith healers, and other practitioners of alternative and supernatural modalities, visit TopSCHOLAR or browse through KenCat, a searchable database featuring manuscripts, photographs and other non-book objects housed in the Department of Library Special Collections! Donald R. Elmore, Bowling Green; Robert Michael Bradley, Bowling Green; Paul Douglas Aton, Franklin, Ky.
As I sit out here in the jungle, I have time to do a lot of thinking. As I sit here with the Bugs and ants crawling over me, inspect the places on my legs and arms where the leeches have sucked my blood I remember how good I had it back in the world. Feb. 22: Knocked out 2 enemy bunkers, had four confirmed kills. June 29: Received sniper fire, one man from 3rd Plt. was killed. . . Ended up with 2 KIAs and 2 WIAs, had a bad day. July 31: Went out today and hauled in body of P.F. which was blown away by Viet Cong mine. Sept. 19: Brown was killed by booby trap while going out on ambush. Despite these grim entries, Bingham composed a poem in which he observed of the Vietnamese: These people have been fighting all their lives,/ They have never known peace as you and I. And on another occasion: For those who fight for it, Life has a flavor that the protected never know. For more collections of letters, journals, photographs, personal narratives and oral history interviews of Vietnam War veterans, search TopSCHOLAR and KenCat. On the 24th day of this (Women’s History) Month, we mark World Tuberculosis Day and recall a woman who took a leading role in one of Bowling Green and Warren County’s greatest health initiatives. It began in 1939, with the discovery of a Warren County mother, ailing with tuberculosis, laid up at home with five children and expecting another. 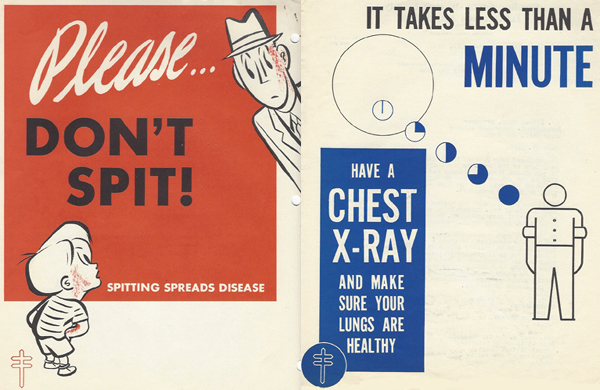 Tuberculosis was an urgent public health problem, spread by afflicted persons through coughing, sneezing and spitting. During the 1930s, the annual death rate in Warren County alone stood at approximately 30, and the infection rate was much higher. Citizens raised funds to send the young mother to a private sanatorium, but similar cases highlighted the need for a tuberculosis hospital where patients could be treated and their family members safeguarded from infection. In August 1940, two benefactors purchased a house on 122 acres near Richardsville and donated it to the recently formed Bowling Green-Warren County Tuberculosis Association. More donations renovated and equipped the home as a hospital, and in 1941 citizens voted overwhelmingly in favor of a special tax assessment to maintain the facility. With a capacity of about 30 beds, the Warren County Tuberculosis Sanatorium was dedicated in September 1942. Warren County residents received free treatment, and others paid $3.00 per day. Spearheading this “hospital movement” was Beulah (Morgan) Smith (1894-1987). A Graves County native, the wife of WKU education professor Bert Raldon Smith had seen both her grandmother and mother afflicted by tuberculosis. As president of the Tuberculosis Association and a trustee of the hospital, she worked to keep the facility staffed and funded, to educate the public about the causes and prevention of tuberculosis, and to encourage screening with the aid of mobile chest X-ray clinics. 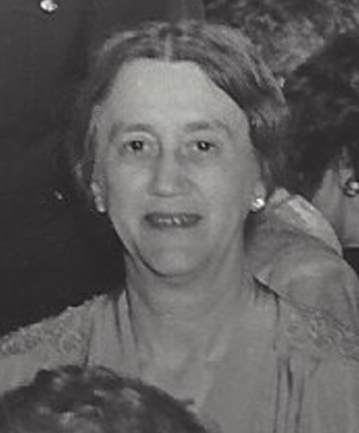 In 1944, Governor Simeon Willis appointed her as the sole woman on the Tuberculosis Sanatoria Commission of Kentucky, a 12-member body charged with selecting sites for state-funded hospitals in six districts throughout the state. Although Bowling Green lost out to Glasgow as the site selected for one of the hospitals, the Warren County Tuberculosis Sanatorium operated until 1956, when patients moved to the new Sunrise Hospital. As for Beulah Smith, she earned numerous commendations for her work on behalf of this and other causes, including the Kentucky Tuberculosis Association’s “Loyalty Award” in 1949 for making the greatest voluntary contribution to the state’s fight against tuberculosis. Beulah Smith’s papers documenting her service in the fight against TB are part of the Manuscripts & Folklife Archives of WKU’s Department of Library Special Collections. Click here to access a finding aid. For more collections, search TopSCHOLAR and KenCat. Women’s History Month got you down? Maybe it’s just those women’s “monthlies.” From the Helm Family Papers in the Manuscripts & Folklife Archives of WKU’s Library Special Collections, we give you Lyon’s French Periodical Drops and Female Regulator. 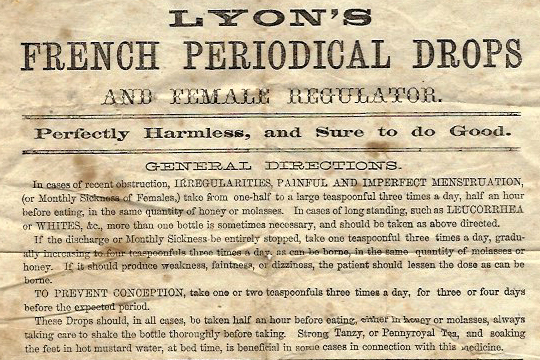 “Powerful in their action, but harmless in their operation,” these miracle drops were the concoction of Connecticut-based, Paris-trained physician John L. Lyon. Advertised from the Civil War until the early 20th century, this contribution to the vast pharmacopoeia of American patent medicines was for relief of “Irregularities, Painful and Imperfect Menstruation” or “Monthly Sickness of Females.” A mere $1.50 paid for one bottle of Drops, to be taken daily by teaspoonful with an equivalent dose of molasses or honey. For more of our collections that feature medicines and prescriptions, search TopSCHOLAR and KenCat.